The instrument-rated private pilot departed in the airplane on a cross-country flight under daytime instrument meteorological conditions (IMC). Throughout the first portion of the flight, the pilot was in contact with air traffic control (ATC) controllers. As the flight neared its destination, the pilot was instructed to turn the airplane to a heading of 030° and maintain an altitude of 4,000 ft mean sea level (msl). The pilot complied with the instructions and was told to change frequencies to another ATC sector. The new controller provided the pilot with an altimeter setting and approach information, which the pilot acknowledged receiving. A short time later, the controller issued the pilot directions to turn left to a heading of 290° and descend to 3,000 ft msl for a radar vector to the final approach course. Despite 10 attempts by the controller to reach the pilot, no response was received. About 3 minutes after the controller issued the initial heading and altitude change, the pilot transmitted that he was still on the 030° heading. The controller immediately responded to the pilot and provided him instructions to turn left and climb to 6,000 ft msl. The pilot did not respond, and the airplane continued on the 030° heading toward mountainous terrain with elevations above the airplane's 4,000-ft altitude. The controller made 17 additional attempts to communicate with the pilot over a period of about 5 minutes. There was no response before radar contact with the airplane was lost. The airplane impacted mountainous terrain near the last recorded radar target at an elevation of about 4,000 ft. Weather data indicated that the flight would likely have been in IMC between 2,800 and 5,000 ft msl; therefore, the terrain would not have been visible to the pilot. However, avionics equipment installed in the airplane could have displayed a moving map showing the airplane's current position in relation to airports, and navigational aids. The wreckage was severely fragmented and mostly consumed by a postimpact fire. The damage to the airplane was consistent with controlled flight into terrain. Although no evidence of preimpact mechanical malfunctions was found, the severity of the damage to the airplane precluded testing of the airplane's avionics equipment. It could not be determined why the pilot was unable to communicate with ATC or why he failed to maintain situational awareness and clearance from rising mountainous terrain. The pilot's autopsy results revealed severe coronary artery disease, which placed the pilot at significantly increased risk of acute impairment or incapacitation by a cardiac event such as ischemia, a heart attack, or an arrhythmia, which could include symptoms ranging from chest pain, shortness of breath, or palpitations all the way to loss of consciousness. However, during the pilot's last transmission, he did not mention any such symptoms, and he did not seem to be in distress. Therefore, it is unlikely that an acute cardiac event caused or contributed to this accident. Toxicology testing identified the pilot's use of a potentially impairing drug, hydrocodone. However, there was no blood available for testing, and there is no method for calculating blood levels from liver or urine results. While the impairing effects of hydrocodone and its metabolite dihydrocodeine could have decreased the pilot's attentiveness or increased his susceptibility to a distraction, whether this occurred could not be determined. The pilot's failure to maintain clearance from rising mountainous terrain while flying in instrument meteorological conditions. Contributing to the accident was the loss of radio communications for a reason that could not be determined because of the extensive impact and thermal damage to the airplane. 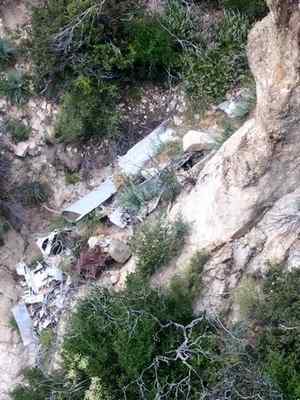 On May 15, 2016, about 0829 Pacific daylight time, a Cessna R182, N133BW, was destroyed when it impacted mountainous terrain during cruise flight near Altadena, California. The private pilot was fatally injured. 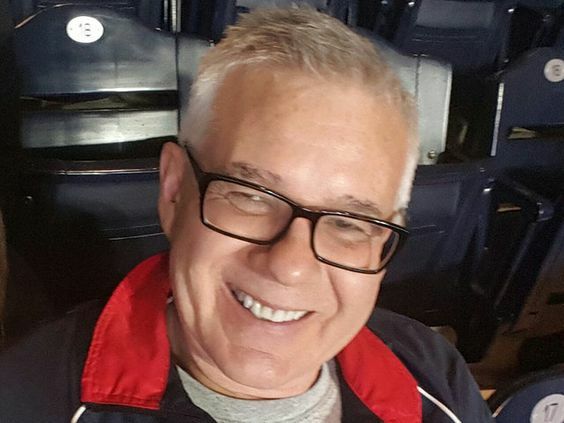 The airplane was registered to San Diego Skylane LLC and was operated by the pilot under the provisions of Title 14 Code of Federal Regulations Part 91. Instrument meteorological conditions prevailed, and an instrument flight rules (IFR) flight plan was filed for the flight. The personal, cross-country flight originated from Montgomery Field, San Diego, California, at 0737, with an intended destination of Santa Monica Airport (SMO), Santa Monica, California. Information provided by the Federal Aviation Administration (FAA) revealed that, about 0810, a controller at the Southern California Terminal Radar Approach Control facility (SCT) directed the pilot to proceed direct to the POPPR airspace fix and to descend and maintain 4,000 ft mean sea level (msl). Seven minutes later, about 0817, the SCT controller directed the pilot to fly a heading of 310° followed by turns to 360° and 030°. At 0821, the SCT controller told the pilot to contact the SCT valley radar sector controller (VLYR) on frequency 135.05. The pilot checked in with the SCT VLYR controller and reported that he was level at 4,000 ft msl on a heading of 030°. The controller acknowledged the pilot report and advised the pilot that the Bob Hope Airport (BUR), Burbank, California, altimeter setting was 29.92. The pilot responded that he missed the last radio transmission. The controller repeated the BUR altimeter setting and told the pilot to expect the VOR GPS-A approach to SMO. The pilot acknowledged the altimeter setting and advised the controller that he had received automated terminal information system information "Uniform" for SMO. At 0824, the SCT VLYR controller directed the pilot to turn left to a heading of 290° for a radar vector to the final approach course at SMO and to descend and maintain 3,000 ft msl. The pilot did not respond, and, 10 seconds later, the controller repeated the instructions, and there was no response from the pilot. Eleven seconds later, the controller transmitted the instructions a third time, and the pilot again did not respond. Over the next 3 minutes, the SCT VLYR controller made 7 radio transmissions to the pilot. These included radio transmissions attempting to re-establish radio communications on frequency 121.5, issuing low altitude alerts, and requesting that the pilot activate the "ident" function of his transponder if he could hear but not transmit. The pilot did not respond to any of the attempts. The SCT VLYR controller checked with the previous controller to inquire if the pilot was in communication with that sector. The previous controller advised he was not in contact with the pilot. At 0827, the pilot transmitted on frequency 135.05, "SoCal Cessna three bravo whiskey still three zero three zero.". The SCT VLYR controller responded immediately to the pilot with: "yeah three bravo whiskey I've been trying to get a hold of you now turn left immediately climb and maintain five (pause) six thousand". The pilot did not respond. Nine seconds later, the SCT VLYR controller transmitted, "November three bravo whiskey three bravo whiskey SoCal approach low altitude alert check your altitude immediately climb and maintain six thousand immediately and turn left heading of two one zero." The pilot did not respond. Over the next 5 minutes the SCT VLYR controller made 16 radio transmissions to the pilot advising of the rising terrain, low altitude alerts, and the need to climb and turn immediately. 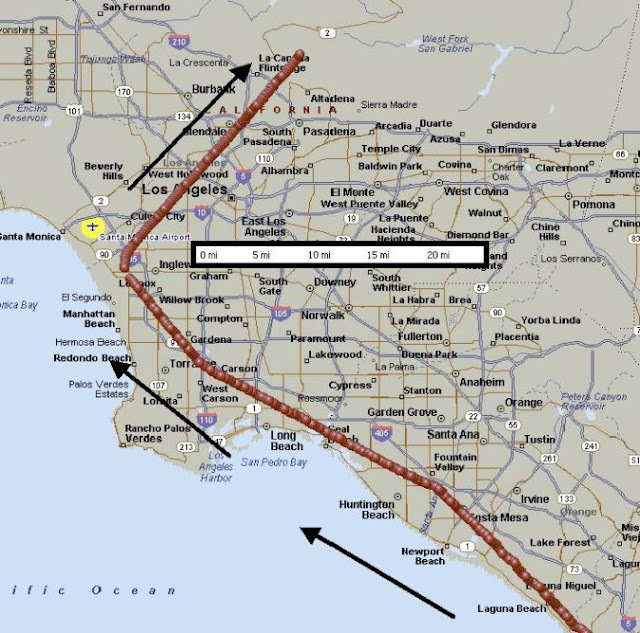 The radio transmissions were made on frequency 135.05 and on frequency 121.5.
Review of recorded radar data revealed that the flight proceeded on a northwest heading after takeoff and paralleled the coast until nearing Torrance, California. The airplane then turned slightly right toward SMO. As the flight neared SMO, the airplane turned about 90° right to a northeast heading of about 30°. The airplane remained on this heading and maintained an altitude of 4,000 ft msl for about 19 miles until radar contact was lost. Flight path of the accident airplane, with direction of travel noted by the black arrows. After radar contact was lost with the airplane, an alert notice was issued by the FAA. The wreckage was located around 1730 by a Los Angeles County Sheriff's Office air unit in steep mountainous terrain near Brown Mountain, about 2 miles north-northwest of Altadena. The accident site was at an elevation of about 4,000 ft msl near the location of the last radar return. Law enforcement personnel and initial responders reported that the airplane was mostly consumed by a postimpact fire. There were no reports of an emergency locator transmitter signal following the loss of radar and radio communication. The pilot held a private pilot certificate with airplane single-engine land and instrument airplane ratings. The pilot was issued an FAA third-class airman medical certificate on June 26, 2015, with the limitation that he "must wear corrective lenses." On the application form for this medical, the pilot reported that he had accumulated 625 hours total flight time, none of which were in the previous 6 months. The pilot's logbook was not located during the investigation. The four-seat, high-wing, retractable gear airplane, serial number R18200450, was manufactured in 1978. It was powered by a 235-horsepower Lycoming O-540-J3C5D engine and was equipped with a McCauley B2D34C21 controllable pitch propeller. Review of the airframe and engine maintenance logbook records revealed that the most recent annual/100-hour inspection was completed on November 12, 2015, at a tachometer time of 3,602.3 hours, total airframe time of 8,912.3 hours, and engine time since major overhaul of 2,095.3 hours. The airplane was equipped with an Aspen Avionics EFD 1000 (Pro), Garmin GNS 530W, PS Engineering PMA 7000B Audio Panel, King KX155 Nav/Com, and STEC System 55X autopilot. It was noted within the Major Repair and Alteration FAA Form 337 that was filed for the installation of the Garmin GNS 530W that it was certified for IFR enroute, terminal and non-precision approach use. The GNS 530W provides a moving map feature available to the pilot. The unit, was not equipped with a terrain database card. At 0853, a recorded weather observation at BUR, located about 11 miles west of the accident site, indicated wind calm, visibility 10 statute miles, overcast cloud layer at 1,600 ft, temperature 16°C, dew point 12°C, and an altimeter setting of 29.92 inches of mercury. A North American Mesoscale (NAM) model sounding was created for the accident site for 0800. The 0800 NAM sounding indicated a relatively moist vertical environment from the surface through 5,000 ft msl. Above 5,000 ft msl, there was less abundant moisture with the vertical environment becoming very dry. With the temperature and dew point lines nearly identical from the surface through 5,000 ft msl, the environment would have been conducive to cloud formation. The accident flight would likely have been in IMC between 2,800 and 5,000 ft msl. There was an inversion in place at 6,500 ft msl that would have kept low clouds and IMC conditions in place, especially near mountainous terrain. Several pilot reports were gathered surrounding the time of the accident. Pilots reported 6,000-ft cloud tops over Pomona, California, at 0800 and over Ontario, California, at 0838. For further information, see the Weather Study Report within the public docket for this accident. All major structural components of the airplane were located at the accident site, and the wreckage was severely fragmented or consumed by fire. The wreckage was recovered to a secure location for further examination. The wreckage was examined on May 31, 2017, by representatives of Textron Aviation and Lycoming Engines under the supervision of the National Transportation Safety Board investigator-in-charge. The fuselage was mostly consumed by fire. Remains of the cabin section and the instrument panel were identified, and one instrument (altimeter) was located. The center section, including the left and right main landing gear, was fragmented. Portions of the left- and right-wing assemblies were identified. The wing portions exhibited impact and thermal damage. The left horizontal stabilizer and elevator were mostly consumed by fire. The right horizontal stabilizer and elevator remained attached to the aft fuselage and exhibited impact and fire damage. The forward and aft portions of the lower section of the vertical stabilizer remained attached to the aft fuselage. The lower portion of the rudder remained attached to the vertical stabilizer. Rudder and elevator control cables remained attached to the elevator and rudder and continued forward to the area of fuselage that contained portions of the landing gear gearbox. The Bendix-King secondary radio was located and exhibited impact damage. The forward faceplate, including the digital frequency display screen was separated and not located. The volume knob was impact damaged and appeared to be about ¼ quarter of a turn from full volume. The primary Garmin radio was not located within the recovered debris. The audio panel was located and exhibited impact damage. The faceplate of the panel was displaced. Damage to the audio panel prohibited any functional testing. The remains of a Bose headset cord, which featured a differential volume control, was recovered. The left-side volume control was found full down, or volume low, while the right-side volume control was found full up, or full volume. The remainder of the headset was not located. The engine was separated from the firewall and its mount. All engine accessories were separated. The propeller was separated from the crankshaft propeller flange. The engine exhibited thermal damage and severe corrosion (rust) throughout. The crankshaft would not rotate by hand. The upper spark plugs were removed; they exhibited corrosion, and the electrodes appeared to be undamaged. The upper spark plugs from cylinder Nos. 1, 2, 3, and 4 exhibited liquid throughout the electrode areas consistent with water and corrosion. The upper spark plugs for cylinder Nos. 5 and 6 exhibited dark gray deposits within the electrode areas. Holes were drilled in the crankcase, and the interior of the engine was examined using a borescope. Internal mechanical continuity was established throughout the engine. The engine accessory case was removed, and all accessory gears were intact. When examined internally using a borescope, all six cylinders exhibited corrosion and dirt. The two-bladed constant speed propeller along with the attached crankshaft flange was separated from the engine. The crankshaft flange web fracture surface exhibited signatures consistent with torsional overload. The propeller blades, which remained attached to the propeller hub, displayed leading edge gouging, torsional twisting, chordwise striations across the cambered surface, and trailing edge "S" bending. Portions of both propeller tips had been torn away. No evidence of any preimpact mechanical anomalies that would have precluded normal operation of the airframe or engine was found. FAA technical operations personnel conducted a historic review of all logs, radio maintenance history, and current operational parameters to determine if there were equipment discrepancies during the time of communications difficulties between the SCT VLYR controller and the pilot. No discernable pattern of failure or related discrepancies were discovered. In addition, no change was heard in the pilot's voice throughout all of the recorded transmissions. For further details, see the Air Traffic Control Group Chairman's Report within the public docket for this accident. The County of Los Angeles, Department of Medical Examiner-Coroner, Los Angeles, California, performed an autopsy of the pilot and determined that the cause of death was multiple blunt traumatic injuries, and the manner of death was accident. Examination of the body for natural disease was limited by the severity of the pilot's injuries. The brain was not available for examination. The heart was also significantly damaged; only one coronary artery could be identified. The proximal portion of the left anterior descending coronary artery demonstrated only a pinpoint lumen in an area of severe atherosclerosis with calcification. Microscopy of heart tissue identified scattered regions of interstitial and perivascular fibrosis as well as areas of cardiac myocyte hypertrophy with enlarged, hyperchromatic nuclei. The FAA's Bioaeronautical Sciences Research Laboratory, Oklahoma City, Oklahoma, performed toxicological testing on samples from the pilot and identified hydrocodone and its active metabolite dihydrocodeine in liver and urine. An additional metabolite, hydromorphone, and acetaminophen were identified in urine. No blood was available for testing. Hydrocodone is an opioid pain medication often sold in combination with acetaminophen and marketed with the names Lortab, Vicodin, and Norco. It is a prescription medication available as a Schedule II controlled substance and carries the warning, "May impair the mental or physical abilities needed to perform potentially hazardous activities such as driving a car or operating machinery. Warn patients not to drive or operate dangerous machinery unless they are tolerant to the effects of the drug and know how they will react to the medication." Acetaminophen is an analgesic and fever reducer commonly sold with the name Tylenol. 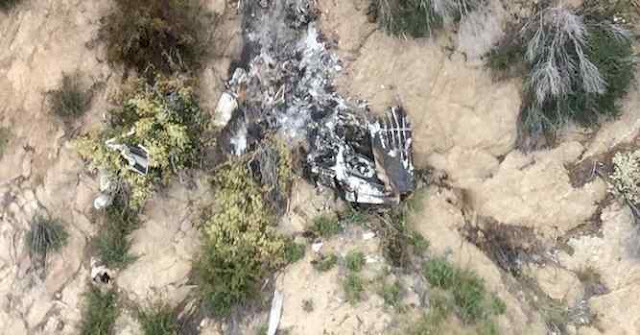 On May 15, 2016, about 0829 Pacific daylight time, a Cessna R182, N133BW, was destroyed when it impacted terrain during cruise flight near Altadena, California. The airplane was registered to San Diego Skylane LLC., and operated by the pilot under the provisions of Title 14 Code of Federal Regulations Part 91. The private pilot, sole occupant of the airplane, was fatally injured. Instrument meteorological conditions prevailed and an instrument flight rules (IFR) flight plan was filed for the personal flight. The cross-country flight originated from Montgomery Field, San Diego, California, at 0737, with an intended destination of the Santa Monica Airport (SMO), Santa Monica, California. Preliminary information provided by the Federal Aviation Administration (FAA) indicated that the pilot was being vectored for an instrument approach to SMO. The pilot established radio communication with the controller and subsequently acknowledged obtaining weather information at the destination airport. About 2 minutes, 26 seconds later, the controller issued the pilot a heading change to 290 degrees and a descent clearance to 3,000 feet for vectors to final approach. However, the controller received no response from the pilot despite multiple attempts over the course of about 2 minutes. The pilot then transmitted that he was on a 030 degree heading. The controller continued to issue vectors away from rising terrain and made several attempts to communicate with the pilot; however, no further radio communication from the pilot were heard. Radar contact with the airplane was subsequently lost and an alert notice (ALNOT) was issued by the FAA. The wreckage was located later that evening by a Los Angeles County Sheriff Office air unit. The wreckage was located within mountainous terrain near Brown Mountain, about 2 miles north, northwest of Altadena. Law enforcement personnel and initial responders reported that the airplane was mostly consumed by a post impact fire. Recovery of the wreckage is currently pending.